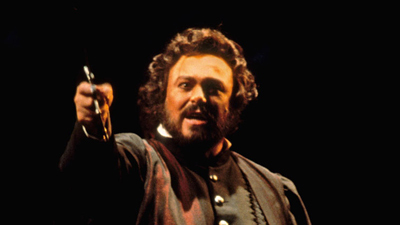 Ernani (Ermanno Mauro), a once-wealthy Spanish aristocrat, has become the head of a band of outlaws and is about to kidnap his beloved, Elvira (Leona Mitchell), from the castle of her elderly guardian, de Silva (Paul Plishka). 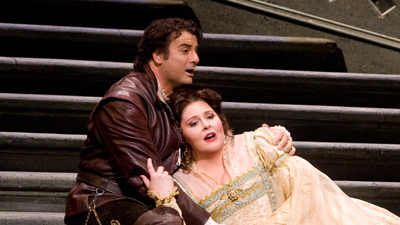 De Silva, meanwhile, plans to marry Leonora himself—but she is also wooed by Don Carlo, King of Spain (Pablo Elvira). After many threats, plots, lies, and conspiracies, Elvira and Ernani are finally allowed to marry—only to see their happiness snatched away from them at the last moment.